Stomp That Box has just published the first ever interview with yours truly. 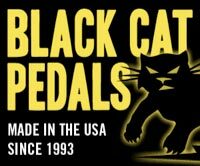 It's a lengthy, tell-all piece that details my early days at Analog Man right up to the revival of Black Cat Pedals. It's a great read with a lot of interesting and humorous anecdotes. A must for pedal heads!